Ok, maybe not amazing, but I had never heard of it. A friend entrusted me with a 1960's era bike to restore. Very little seems original on the bike except for the condorino handle bars. Anyway. On to the topic. The rims and all the chrome were fairly rusted. Not wanting to spend alot of money on chemicals, I searched online and found a method of aluminum foil and baking soda. It seemed strange, but doable without risk. I tried, and.... knock me over with a feather, it worked quite well. I've even used aluminum foil just by itself to remove rust from chrome. Doesn't this just cover rust in a thin layer of shiny aluminum? I only have done it without baking soda. I do not know the reason for the chemical reaction but I know it works. I was surprised. Aluminum foil is harder than rust, but softer than unoxidized steel, so it's able to just scrub away the rust. Water, oil, etc lubricate to make the job easier. Don't do this on the fork chrome of an old Peugeot U-08. It actually scratched mine which makes me question what Peugeot was actually doing. Brass wool - available at the hardware store works pretty well to and doesn't leave the scratches of fine steel wool. That was because Peugeot clear-coated their chrome with polymer. In many cases it is why restorers like us still have any chrome left on our Peugeots to work with! I often remove it entirely if the finish needs work or has acquires rust dots under the clear, but always thankful that it saved the chrome. I guess the problem with chrome and some other platings (e.g. 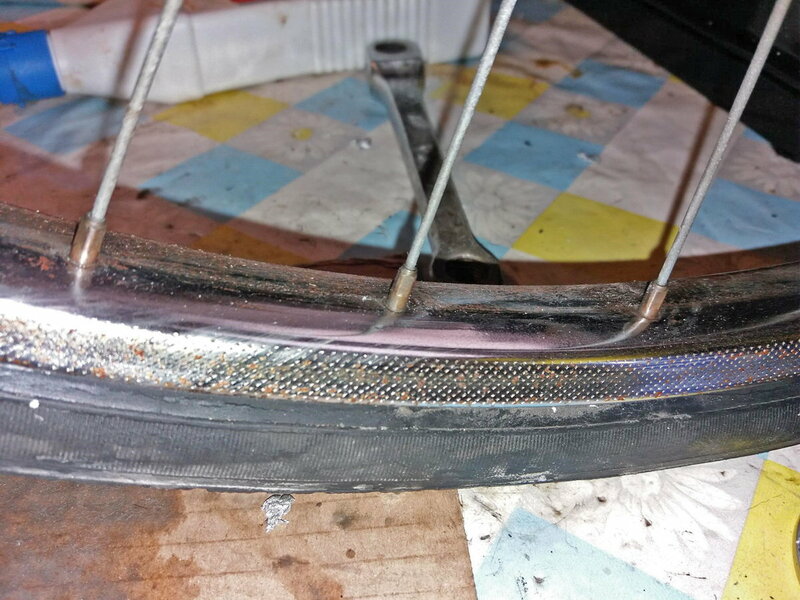 tin, albeit not used on bike frames or parts) is that it (or at least its copper or nickel based underplatings) is higher on the galvanic series than iron, so the smallest breach in the protective layer over the ferrous material inevitably results in a galvanic attack on the iron by the no longer intact protective layer. So exposing chrome plated steel to any galvanic environment, i.e. wet moisture or just humidity, over a prolonged period, will inexorably lead to pitting corrosion. Of course, the thicker the plating, the more resistant it is to the initial breaches, but once they exist, it is a never ending battle to combat the corrosion, short of getting the component re-plated. On the other hand, platings such as zinc that are lower on the galvanic series are sacrificial, in that they sacrifice electrons in the galvanic circuit with the parent metal, and are gradually consumed in the process. 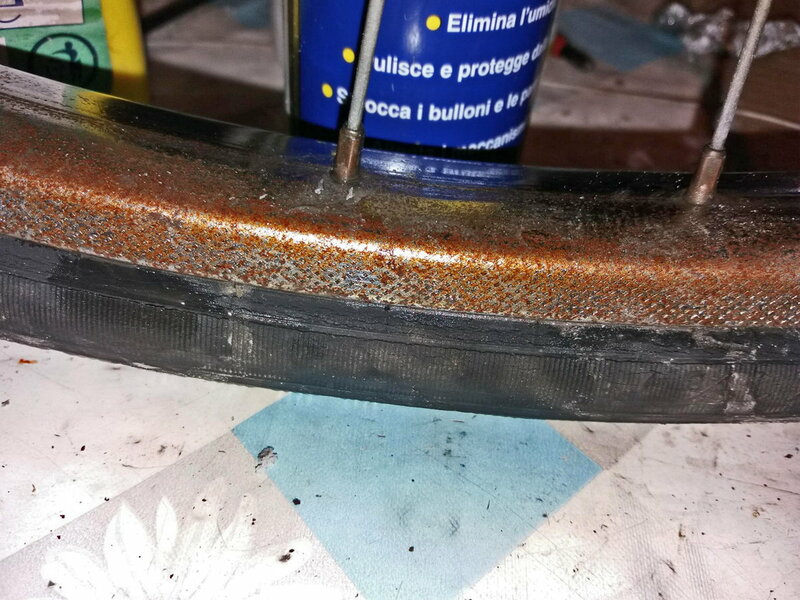 Eventually, the sacrifical plating can be eroded to the point that the parent metal is exposed, and begins to corrode despite the sacrificial protection. At any rate, I'm not aware of any sacrificial plating material (in the jargon, sacrifical anode) that is considered to be decorative, so we're stuck with chrome(with its copper underplating) or other galvanically "noble" metals like gold for attractive finishes. But then if you want scratch resistance and relatively low cost, that rules out gold, for instance. 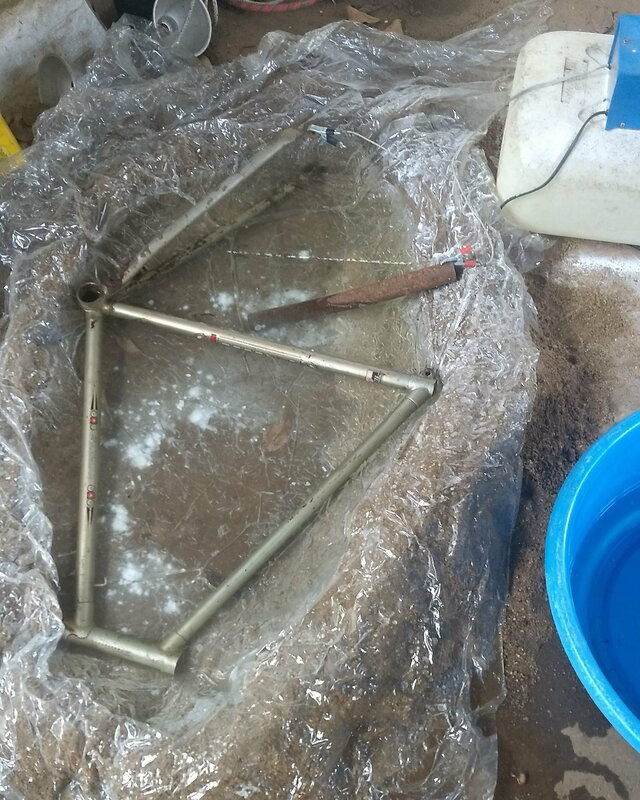 Therefore, the only thing better than galvanically inactive paint for avoidance of unsightly corrosion of bike frames and other high strength metal bike parts, in my book, is an inherently corrosion resistant parent metal such as aluminum, titanium, or stainless steel. Sorry for the thread tangent, but I thought some would be interested to know why we're in this predicament with chrome plating and what some of the less common not to mention uncompetitive alternatives are.